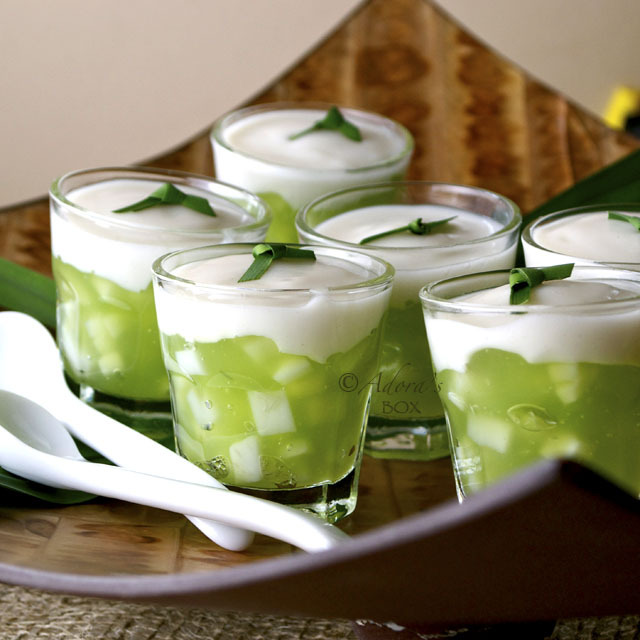 The Kulinarya Cooking Club's theme for the month is Flores de Mayo. 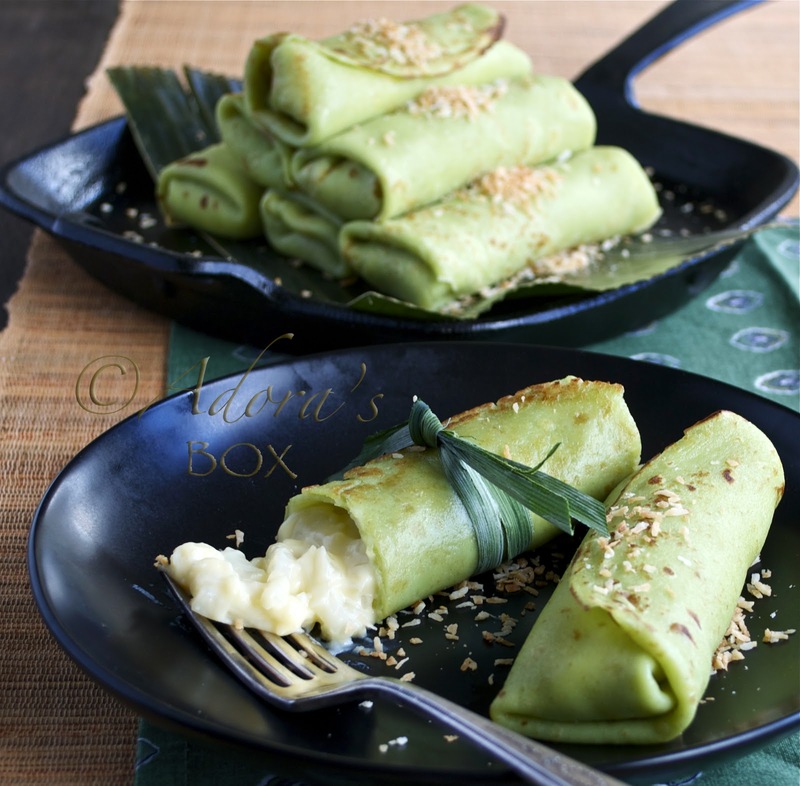 The task is to create a dish inspired by the flowers of May. There is nothing floral about this buco meringue pie that I've made. Rather, I took inspiration from the pageantry of the Flores de Mayo processions, the splendour of the outfits, the flowers and the tiaras that all create a sense of grandeur. 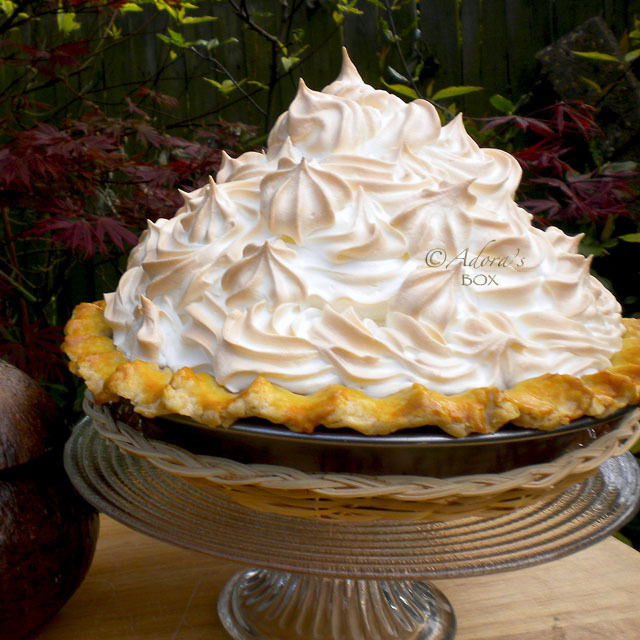 I chose to top the buco pie with meringue to mimic the pomp of this procession. Buco (young coconut) pie is a specialty of Laguna, a province in the Philippines that is famous for their picturesque views, natural hot springs, and their delicacies, most of which use local ingredients such as coconuts. We don't have fresh young coconuts here in the UK so I used the tinned ones in syrup. Young coconuts are very different from mature coconuts. They are gelatinous in texture and sweeter in taste. I used an all butter crust to hold an all-egg-yolk custard, then topped the whole concoction with meringue. 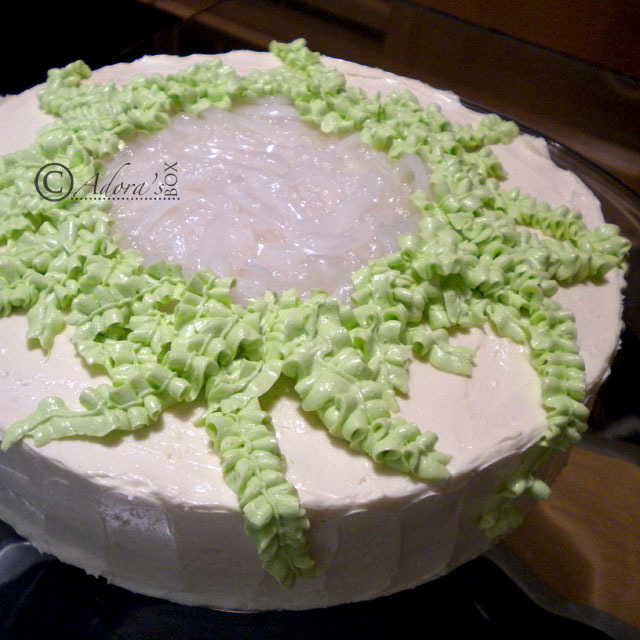 This bedecked buco pie is my Kulinarya offering for the festive month of May. Pre-heat the oven to 350°F /180°C. Sift the flour, icing sugar and salt in a mixing bowl. Cut in the butter with a pastry blender until the mixture resembles coarse breadcrumbs. Add the water a little bit at a time while stirring with a fork. Moisten the flour just enough for it to be gathered into a ball. You can use store bought pastry instead of this. Roll the dough on a floured board then use to line a 9" pie plate. Flute the rim decoratively. Prick the base and sides of the pastry with a fork . Line with foil and fill with baking beans (bake blind) and bake for ten minutes. Take the foil and beans off, brush the edge of the crust with an egg yolk (optional) then bake for another 10 to 15 minutes until lightly browned. Leave to cool. Mix the flour, corn flour and sugar together in a bowl. Add the buco juice while stirring. Then add the milk. Strain into a saucepan. Bring to a boil on low heat while constantly stirring. Cook until thick. Add the buco meat, followed by the egg yolks. Cook until the mixture begins to boil. Take off the heat and add in the butter. Set aside to cool. When both the pie crust and filling have cooled, prepare the meringue. Whisk the egg whites and cream of tartar with an electric mixer on high speed until soft peaks form. Gradually add the sugar continuously while whisking until the sugar dissolves and mixture is glossy. Put all of the filling in the pie shell. 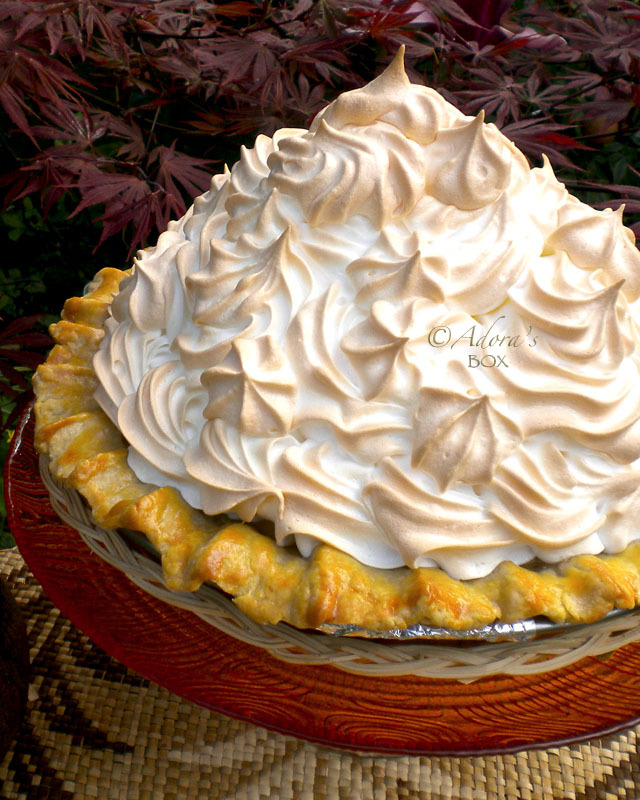 Pile on a mound of meringue in the middle of the pie and pipe the rest with a big star shaped nozzle. 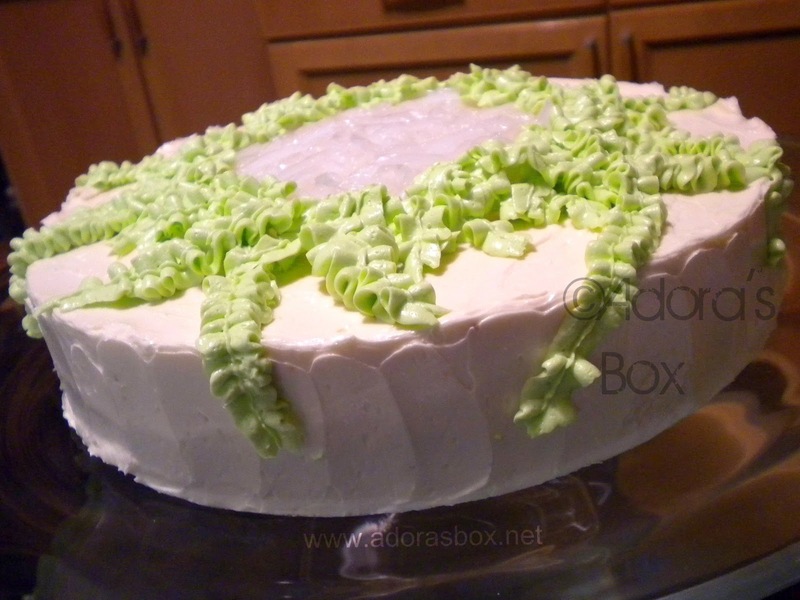 You can also just pile all of the meringue on top of the filling and peak decoratively with a spatula or knife. Make sure the meringue covers all of the filling. Bake in a preheated oven (350°F /180°C) for 10 minutes or until the meringue is lightly browned. 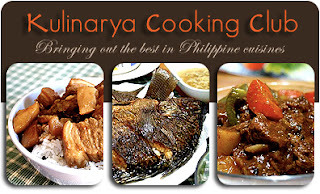 This post is for the KULINARYA COOKING CLUB theme for May 2011: Flores de Mayo. Check out that huge layer of meringue! your pie is a stunner!!! I'm not the biggest fan of meringue, but that coconut filling looks AMAZING! Stunning pie! I like how you've piped the meringue on the filling. I do miss young coconut flesh and I can't remember ever seeing them in cans over here. Oh wow! The height of meringue is amazing!! It's gorgeous and totally got my attention. I'd love to have a big bite of those huge meringue... I enjoyed reading about Flores de Mayo (such a cute name). It's fun learning about other cultures and food associated with it. Have a great weekend Adora! Actually, the way you decorated this pie is very floral and it looks amazing. I can see the details on the toppings Adora. I wouldn't even dare trying this myself. Great job! My goodness Adora! I have never seen a buko pie as beautiful as yours! Great job! I saw this pie and couldn't help think to myself, that must be the most meringue on a pie ever. Love it, especially the coconut layer. That is an AWESOME pie!!!!! 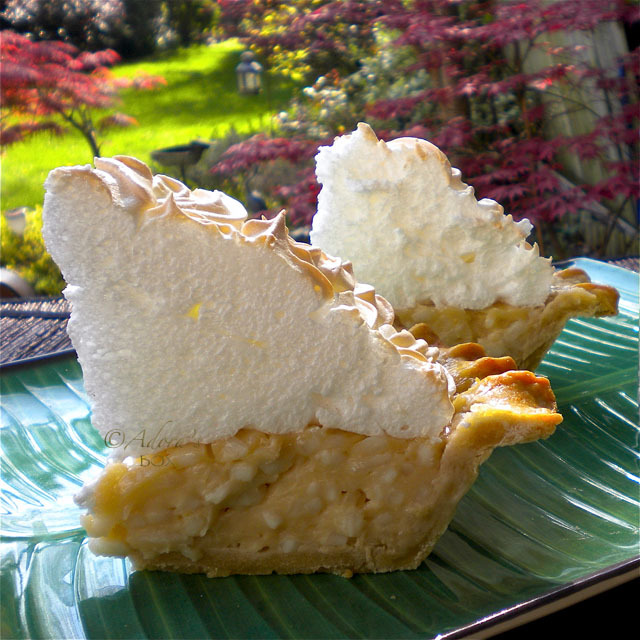 Look at the perfect meringue, the creamy buko filling and that gorgeous crust! Well done!! ---the addition of Tender Coconut sounds so flavorful mmm... I have a sweet tooth and this is Tops! Adora, that meringue just looks AWESOME! Great piping and a beautiful flower indeed! I love love this recipe. 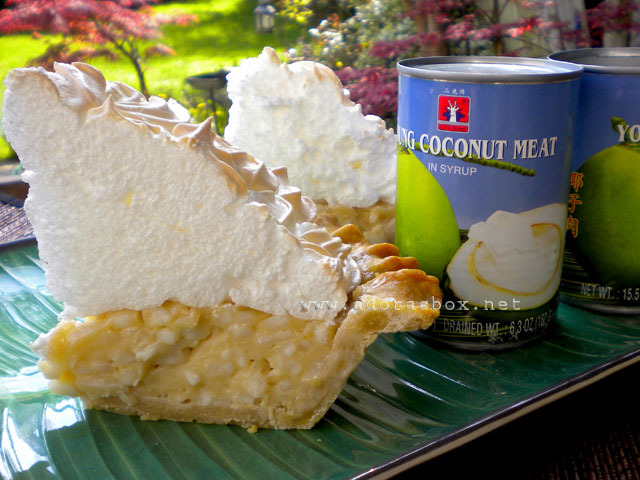 I have always loved coconut pie but a buco version so much better. Dang. That is one amazing meringue! 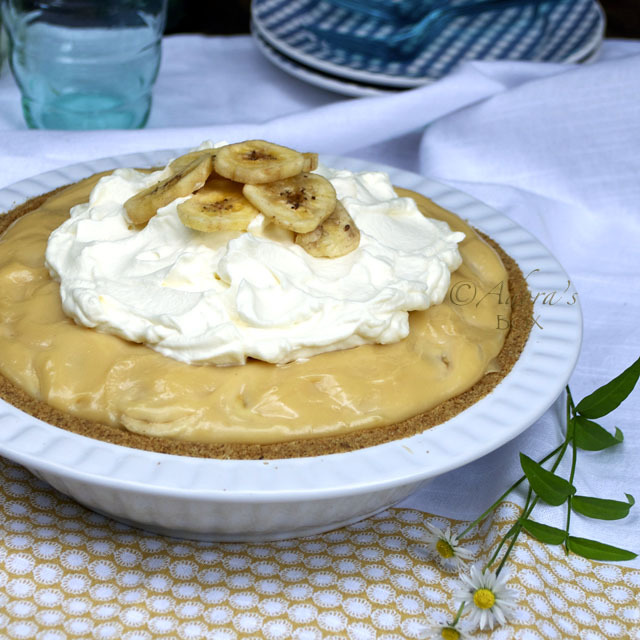 Lemon meringue pie was a favorite when I was a kid and this looks like a wonderful grown-up version.